Forced rhubarb is in the shops right now, so it’s time for a seasonal treat: rhubarb bellini. Booze and fruit, what’s not to love? And yes, I know that technically rhubarb is a vegetable. Or is it a herb? It’s part of the sorrel family, so who knows. 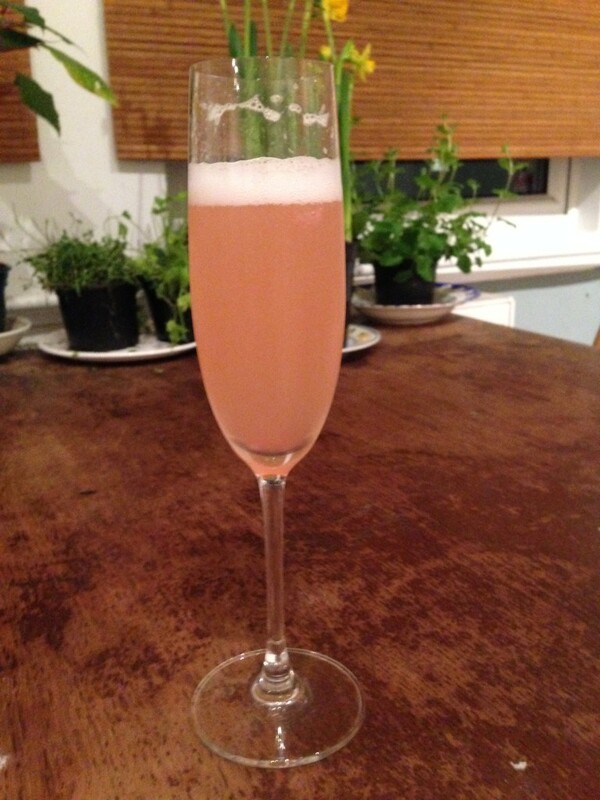 I used to make these cocktails as an after-thought when I’d cooked up some rhubarb for a compote, but they are now a favourite and I’ve been known to hunt out the pink stems specifically to be baked and then drenched in fizz. You use the syrup rather than the actual fruit, so save the leftovers for another recipe. These bellini are only worth making at this time of year when the forced rhubarb is in season. They are prettily, delicately pink, but the rhubarb gives a good punch of flavour. I suppose you could try using the thick, green, late summer rhubarb, but it might be a bit too, well, rhubarby. This recipe is also a great way of making less-than-brilliant wine a bit more drinkable. I like to use cava as it’s not too sweet, but prosecco would also be fine. No quantities for this: use as much rhubarb as you have and as much sugar or honey as feels right for your tastes. Preheat the oven to 180c. 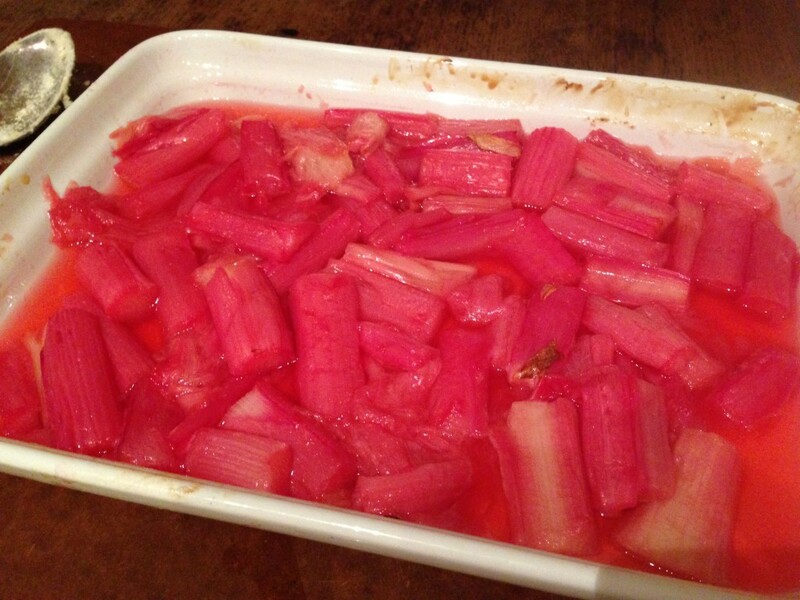 Trim the rhubarb into inch-long lengths and tumble them into a baking dish. Drizzle on a little honey or sugar and a splash of water. Bake for about 10 minutes until the rhubarb is softened and the juices are running. Drain off the pink watery syrup and chill it thoroughly – set the fruit aside and use for another recipe. When the syrup is properly cold, spoon a little into the base of a champagne class and slowly top up with your fizz – if you pour too quickly the sugars react and you’ll have a frothy mess on your hands. Enjoy. This entry was posted in Recipes, Sweet. Bookmark the permalink.